A land of thick rainforest, expansive savannas, and lively Caribbean culture, Guyana is becoming more and more notable for its adventure and eco-tourism opportunities. Sightseeing in Guyana ranges from touring the colonial-era architectural gems of the historic capital, to hiking the verdant forest trails. Scenic waterfalls and mountaintops, laidback ranches, an array of tropical wildlife, and delicious Creole fusion cuisine await you on your Guyana holiday. Guyana is in South America. 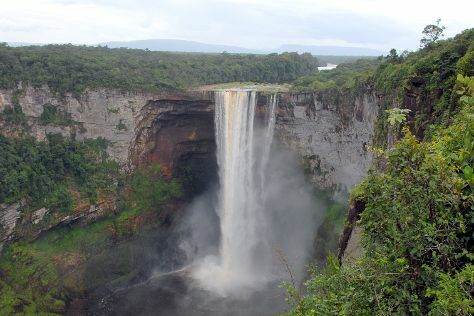 To personalize your trip to Guyana, create itinerary details specific to you using our Guyana trip planner.